ZTE was dealt a major blow in April when the United States imposed a ban on the company that was illegally shipping products to Iran and North Korea. The company’s actions went against an agreement it made just last year on the issue. “No definitive agreement has been signed by both parties,” a Commerce Department spokesman told Reuters on Tuesday. Sources told the outlet that ZTE signed a U.S. “agreement in principle” over the weekend, but had not yet signed an amended version. Under the deal, the U.S. stands to collect up to an excess of $1.7 billion from the company in current and past paid fines, according to sources who spoke with Reuters. One billion dollars would be settled under the deal – adding to $361 million that the company agreed last year to pay – and another $400 million would be held in escrow should there be any future violations of the deal. The agreement stipulates that ZTE would be required to allow unrestricted site visits. The visits would verify that ZTE is using U.S. components as they have agreed. The sources told Reuters that ZTE would also have to post calculations of these components to a public website and replace its board and executive team within 30 days. 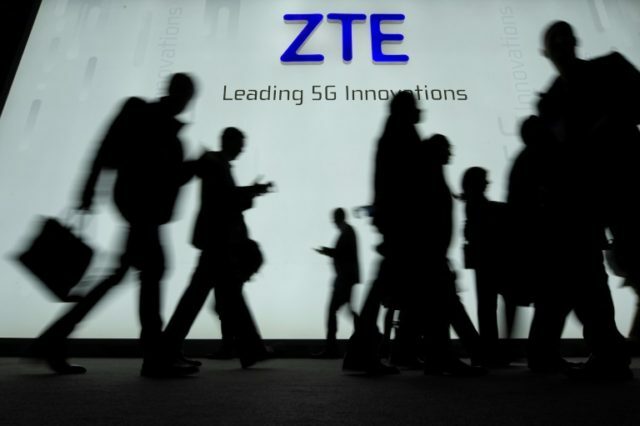 The report added that ZTE gets from 25 to 30 percent of the components it uses in producing smartphones and telecommunications networks from the U.S. The report is in line with previous reports on the tentative deal between the U.S. and ZTE. In late May the Commerce Department informed lawmakers of a tentative deal involving a $1.3 billion fine, replacing management and executive board, security guarantees from ZTE, and an agreement that ZTE will source much of its parts from the U.S.